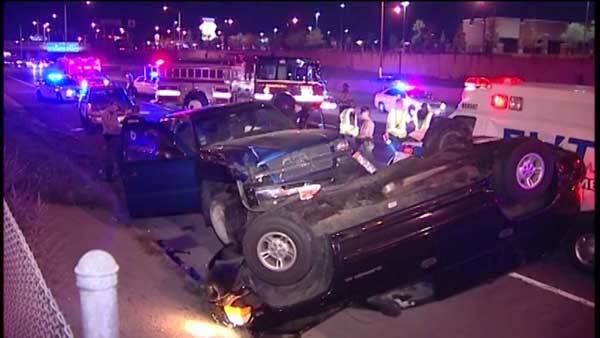 Eight people were injured in a rollover crash involving five vehicles on northbound I-57 near 119th Street. 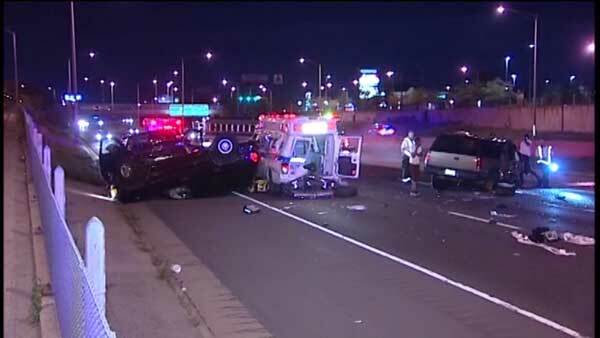 Two other drivers were injured in a secondary crash on southbound I-57. CHICAGO (WLS) -- Eight people were injured in a rollover crash involving five vehicles on northbound I-57 near 119th Street. Two other drivers were injured in a secondary crash on southbound I-57. Illinois State Police said emergency crews were responding to a two-vehicle rollover crash blocking the right lane of northbound I-57 around 2:30 a.m. Monday, when an SUV struck an ambulance. Another vehicle was also involved in the crash. State police said another crash occurred on southbound I-57 around 3:20 a.m. One vehicle crashed into the back of another after a driver slowed to look at the scene in the northbound lanes. Ten people were taken to local hospitals. Authorities said none of their injuries were life-threatening. Investigators are looking into the cause of each crash.